Developing young men and women morally, mentally, and physically, and to instill in them the highest ideals of honor, courage, and commitment. The Naval Reserve Officers Training Corps San Diego Consortium was established in the summer 1982. It is composed of two individual units, NROTC University of San Diego and NROTC San Diego State University. The Battalion has grown from an initial cadre of 28 to its current strength of over 200 students. This includes Midshipmen, active duty Marines participating in the Marine Enlisted Commissioning Education Program (MECEP), and active duty sailors who have been selected for the Seaman to Admiral 21 (STA-21) Officer Candidate program. The NROTC consortium has offices and offers Naval Science courses at both USD and SDSU campuses. The fall semester was filled with tremendous growth by all of our midshipmen and active duty. We welcomed a new class to begin their journey as future officers of the United States Navy and Marine Corps. Read more in our semi-annual newsletter! College Program Applications The first application window is April 1 to May 1. The second application window is May 2 to July 1. Applicants who are not accepted during the first application window will be screened during the second application window automatically. Students who apply before May 1 will have an opportunity to attend New Student Indoctrination and have a greater chance of being selected overall. Professional Clubs Students participate in events with clubs throughout the academic year. The Aviation, Surface Warfare Officer (SWO), Submarine, Special Warfare, and Semper-Fi clubs meet to inform students about the role of each community. Due to the close proximity to military bases, these clubs are given frequent opportunities to experience the fleet first-hand. Midshipmen Ranks Midshipmen ranks are categorized by their class year. Freshmen hold the rank of Fourth-Class Midshipmen; sophomores are Third-Class (3/C) Midshipmen; juniors are Second-Class (2/C) Midshipmen; and seniors are First-Class (1/C) Midshipmen. San Diego Fleet Concentration The proximity of NROTC San Diego to Navy and Marine Corps facilities makes NROTC San Diego a popular choice for those seeking a commission. Formal Events While part of NROTC San Diego, midshipmen are given opportunities to participate in formal military functions and ceremonies. These events give midshipmen hands-on experience of naval customs and traditions in preparation for military service. Physical Fitness Midshipmen participate in incentivized physical fitness sessions ranging from one to three times a week. These sessions include various evolutions designed to increase upper body strength, endurance, and flexibility. These sessions provide an excellent opportunity to interact with peers and increase NROTC unit cohesion. 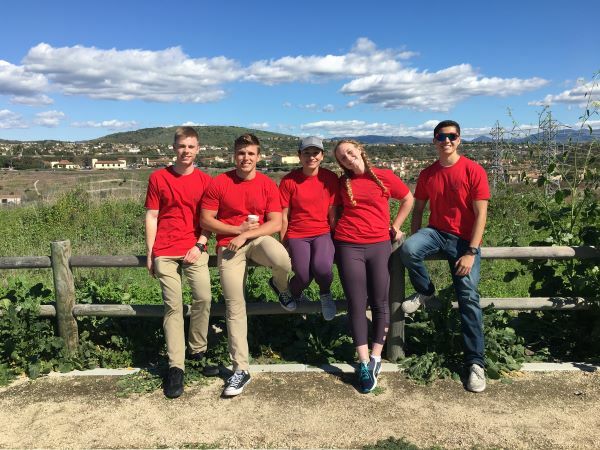 Active Duty Students Active duty enlisted personnel seeking their commission are an integral part of NROTC San Diego. They fully integrate into the battalion and serve as mentors to our midshipmen. Virtual Simulators NROTC San Diego uses a cutting edge ship driving simulator called Conning Officer Virtual Environment (COVE) to supplement seamanship and navigation curriculum. 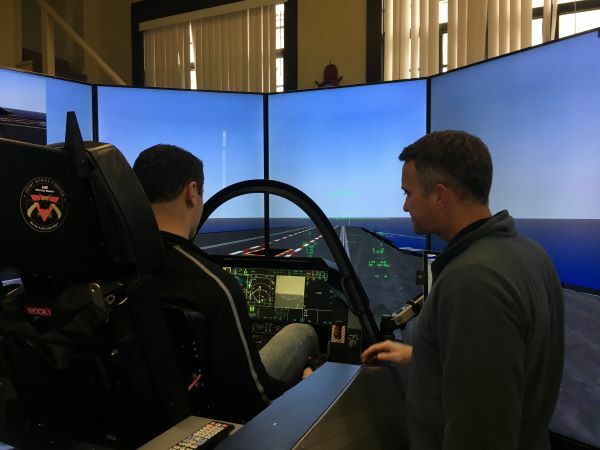 This virtual reality simulator gives instructors the ability to provide state of the art instruction to students in preparation for the naval fleet.